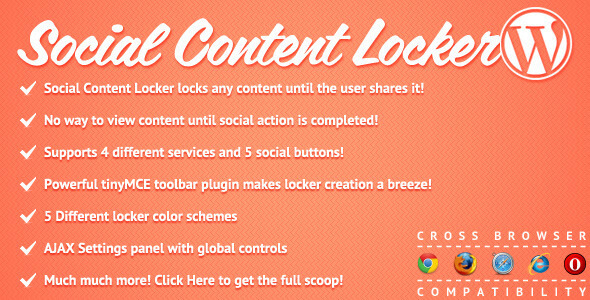 Locks any type of content until the user shares it! Images, Videos, Flash, HTML, etc. Supports 4 of the largest social media sites and 6 social buttons! PostLocker support allows you to lock all or some of your content on the fly using post / page / custom post type IDs! Optional close button allows users to bypass social requirements if you want to allow it. AJAX Settings panel with global button controls.